Microsoft is looking for volunteers to test beta versions of its Office software, possibly including a version for Android tablets. The “pre-release program” includes all aspects of Microsoft's productivity suite, including Word, Excel, PowerPoint, OneNote, Visio, Access, Publisher and Outlook. Business users can also sign up to test beta versions of Exchange, SharePoint and Project. The idea of a beta program for Microsoft Office isn't new. With Office 2013, for example, the company launched a private beta (or “technical preview”) in early 2012. But the latest call for testers comes at a time when Office is branching out. In March, Microsoft released a version of Office for iPad. And the company reportedly has an Android tablet version coming up next. The Verge, citing unnamed sources, says this Android tablet version is one of the things Microsoft plans to test. 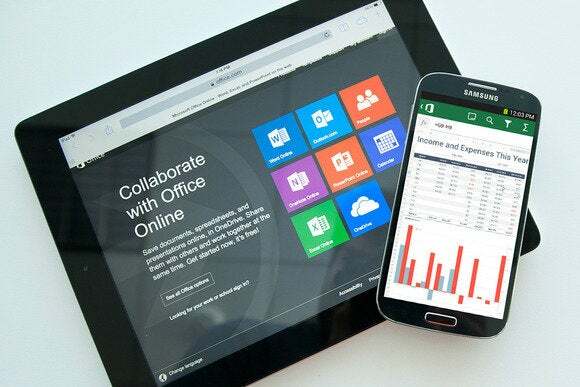 Microsoft may also want to eventually test the long-awaited touch version of Office for Windows. The company hasn't said when it plans to ship this “Metro-style” version, but ZDNet's Mary Jo Foley has reported that the final release may not happen until spring 2015. Meanwhile, Microsoft has been beefing up Office Online to better compete with Google Docs, and is reportedly working on entirely new tools including a rumored Office Reader. All of this is in addition to the next desktop version of Office, though the details on this upcoming release are scarce. In other words, the pre-release program could entail a lot more than the desktop-centric technical previews that Microsoft used to offer. It may be worth checking out if you're an early adopter that makes extensive use of Microsoft services. That's assuming you can get into the program; at the time of this writing, the sign-up page is spitting back a “currently not available” error.